Want to See the Full Earth in High Resolution? 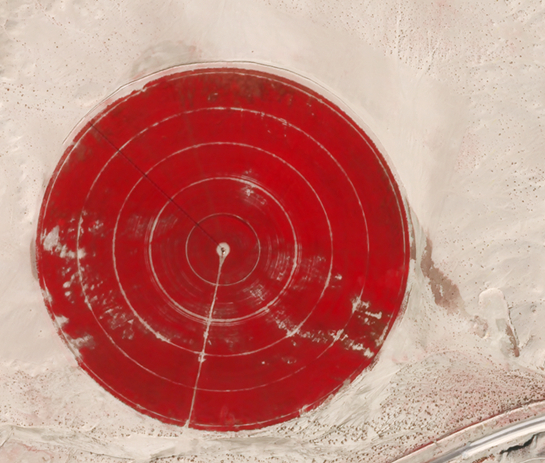 Who doesn’t want to see real-time high-resolution images of our planet? If you have used a service such as Google Earth, you may have been awed by its beautiful depiction of almost any region on our planet. You may even think that the images are real-time or at most just a few days old. Alas, that is not true. Weather satellites which does provide real-time data (updated every few hours) of the entire Earth operates at what’s known as geosynchronous orbits (36,000 km from the Earth) and from that distance, can’t offer high resolution pictures. Even a global imaging satellite such as NASA’s MODIS Terra satellite provides only medium resolution (about 250 meters per pixel). The high-resolution images of Earth beautiful to us and more importantly, useful for government and industry to analyze global shipping, oil spills, crop irrigation, etc., are covered by closer satellites in low earth orbit (several hundred kilometers from the Earth) operated by companies such as GeoEye or DigitalGlobe. Unfortunately, those high-resolution satellites only see small potions of the Earth so there is are complicated algorithms at Google and other satellite image companies to update images with the newest ones and splice them together. Skybox Imaging is a high-resolution imaging and data company recently [June 2014] acquired by Google for $500 million. 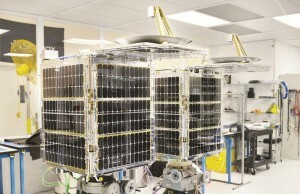 Starting from 2009 when four Stanford university students worked out of a cramped living room, they have grown into a multimillion dollar backed 125-person company in Silicon Valley with their own satellite manufacturing and operations facilities as well as data equipment and software to handle their satellite information. The company designs its own satellites and cameras and partners with others to build and launch them. Prior to their acquisition by Google, they have raised a total of $91 million in three rounds of financing from venture capital companies. Three of the founders are engineers who had previously worked on the Google Lunar X-Prize to develop a moon rover. These three (Dan Berkenstock, Julian Mann, and John Fenwick) were classmates of Ching-Yu Hu in a 2008 Stanford entrepreneurship class. As a final project, they had to form a venture-backed company. The four decided to take their project outside of the classroom and Skybox Imaging is what resulted. What Do They Have Others Don’t? Skybox Imaging offers high-resolution real-time imagery and even video! Adjacent pixels are only 90 centimeters apart for panchromatic (black and white) images and 200 centimeters for multispectral (color) images. Panchromatic (black and white) HD videos of 90 seconds at 30 frames per second is also offered. The constellation of 24 satellites will be able to see any region of the Earth at least once a day up to five times a day. Currently, with just two satellites launched named SkySat-1 and SkySat-2, they’re already able to image any part of the Earth once every three days. Better, these satellites are about the size of a mini-fridge and weighs less than 150 kilograms. In the space world, the size and mass of a satellite is directly related to its launch cost. The first two satellites weigh only 100 kilograms and future satellites will just be a bit heavier at 120 kilograms. Compared to NASA’s legacy satellite Landsat which is about 2000 kilograms and only offers 2000 centimeters per pixel in resolution, Skybox Imaging offers far superior performance at a fraction of the cost. Besides just images, Skybox also offers a hardware and software system called SkyNode which has a 2.4 meter satellite communication antenna and two electronics racks that allows any user to download relevant imagery and video in just 20 minutes. Capabilities will increase over time with software updates. Users can purchase minutes of access per month or unlimited access per month. The device allows a downlink feed in X-band and a uplink feed in S-band. 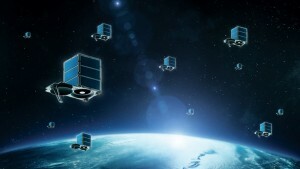 Skybox Imaging plans to launch the full satellite constellation of 24 satellites by 2019. Later this year , a block of six satellites will be launched from an Orbital Sciences Minotaur-C from Vandenburg Air Force Base, California. Soon, we can all just pay to have our own spy satellite.